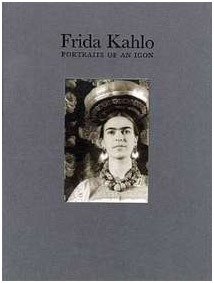 MARGARET HOOKS has written extensively on the life and work of artists, among them Leonora Carrington, Frida Kahlo, Tina Modotti, Dorothea Tanning, Max Ernst and Edward James. Her recent writing provides new insight into the relationship and collaborative works of Carrington with the Surrealist painter Max Ernst. 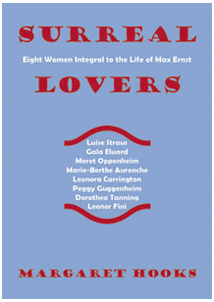 Surreal Lovers, her latest book, recounts the intertwined relationships of the enigmatic Ernst with Carrington, and seven other important women in his life – Dorothea Tanning, Leonor Fini, Meret Oppenheim, Luise Straus, Peggy Guggenheim, Marie-Berthe Aurenche and Gala Dali – during the years that spanned two world wars, encompassed the eruption of Dada and the rise and demise of Surrealism, while shifting the center of the art world from Paris to New York. 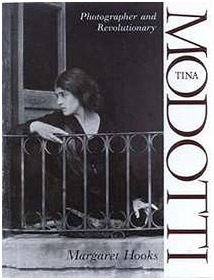 Hooks’ award-winning biography Tina Modotti: Photographer & Revolutionary (Kraszna-Krausz Prize, Infinity Award Nominee) is available in many languages and has been optioned by leading Hollywood film companies, with Hooks being hired to write the film treatment based on the book. 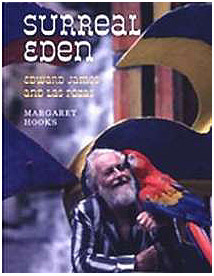 Her monograph Surreal Eden is the first major book on Surrealist art patron and poet Edward James and the fantastic structures he created in the rain forest near Xilitla in Mexico. She has also explored the creative collaborations of writers and artists such as Roberto Bolaño & A.G. Porta and Salvador Dali & Edward James, among others. Her articles, essays and reviews have appeared in BOMB magazine, ARTnews, The Daily Beast,, Grand Street, AfterImage, Vogue, Aperture, The Guardian, Elle, The Observer Magazine, Cultural Survival, The Irish Times, Gatopardo, Luna Cornea and other publications. Published translations include Bolaño and Porta’s “Bar Diary” and From Vienna to Managua the autobiography of the Austrian psychoanalyst and feminist Marie Langer. Hooks has lived and worked in London, New York, Miami, Mexico City and Barcelona. For more information, reviews & excerpts, click on book titles on the right.